There is one aspect of nutrition that traverses all sports conversations and that is the topic of protein. No matter what kind of athlete you talk to and even non-athletes there are always discussions revolving around protein supplementation and meal replacements. The protein market is one that is incredibly misunderstood and highly over marketed with so much sugar coating that any consumer will automatically feel there is a benefit to consuming it without really knowing why, how much and when. The entire idea of type of protein intake is completely misunderstood by most and I decided to write this blog to provide the necessary facts so that you as the consumer can make the right decision for yourself. Whey protein is a milk derivative which has a very strong amino acid profile. There is a major difference between whey protein isolate and concentrate. The concentrate is derived from a simple filtering process which contains a varying amount of protein, carbohydrates and fats in the form of lactose.The structure of whey concentrate is that it is not denatured and therefore provides health benefits in its natural form. Whey isolate is derived from further processing and purification of whey concentrate. When this is done most of the biological structures that exist in whey concentrate are broken down and only the protein chains and amino acid structures remain. This makes whey protein isolate a higher concentration of pure protein. It also generally lands up being more expensive due to the further processing involved in getting it to this stage, however it does lack some nutritional benefits due to the denaturing process. What about whey hydrolysate or hydrolyzed protein as its called. Unlike whey concentrate or whey isolate hydrolysates are enzymatically predigested for maximal speed of absorption. There are a few methods which are utilised in breaking down the whey into a pre-digested state. Personally I am completely opposed this type of protein as its completely unnatural and as humans with a digestive system our bodies are completely capable of breaking down and digesting protein in the unique manner for which we were created. Acid hydrolysis is a fairly harsh process, usually carried out at high temperature. This process attacks all peptide bonds in the protein substrate, destroying some of the individual amino acids.For example, tryptophan is usually totally lost in an acid hydrolysis. Cystine, serine and threonine are partially broken down and asparagine and glutamine are converted to their acidic forms. Vitamins are mostly destroyed by acid hydrolysis. Salt may be formed during neutralization of an acid hydrolysis, resulting in a product with high salt content. Proteolytic enzymes hydrolyze proteins more gently than acids, do not require high temperature and usually target specific peptide bonds.The material that results from a proteolytic digestion is a mixture of amino acids and polypeptides of varying lengths.For example, the enzyme pepsin will cut an amino acid chain where there is a phenylalanine or leucine bond. Papain will cut the chain adjacent to arginine, lysine and phenylalanine. Pancreatin shows activity at arginine, lysine, tyrosine, tryptophan, phenylalanine and leucine bonds. Microbial proteases, proteolytic enzymes secreted by microorganisms, are becoming more widely used in peptone production. Proteases from bacterial, algal, fungal and yeast sources offer a wide variety of enzyme activities, can be produced in large scale, and usually require only simple purification. As far as I am concerned hydrolyzed protein is a chemical treatment process. Its completely unnatural and from a health point of view its completely struck off my personal list of animal proteins. Casein protein is another milk derivative. Its not very water soluble and the attractive property of the casein molecule is its ability to form a gel or clot in the stomach, which makes it very efficient in nutrient supply. This means it is able to provide a sustained slow release of amino acids into the blood stream, sometimes lasting for several hours. It is often recommended as a pre-bed time protein snack or for weight loss when that keep you full feeling lasts for many hours. As a post exercise recovery it is too slow as far as digestion and absorption is concerned and would serve best if it was blended with a faster digesting protein to provide some post exercise stability and reduce the hunger cravings. There are a number of plant based proteins on the market. The most popular vegetable proteins are of course soy and wheat protein which make up for more than 90% of the plant base protein market. Soy protein being the most popular is a vegetable protein made from soybeans. While most vegetable proteins are “incomplete” proteins, soy protein is a “complete” protein, and it is comparable in quality to many animal-based sources. Soy protein is low in saturated fat, and it has powerful antioxidant properties that have been shown to play a role in lowering cholesterol and preventing heart disease. Soy like Whey comes in a concentrate and isolate option. The soy isolate of course provides a much higher and purer form of protein content as opposed to the concentrate version. For many years there has been an ongoing debate on which protein is better soy or whey. 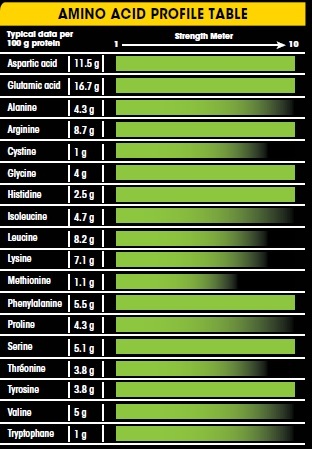 There is no doubt that whey protein has a slightly stronger amino acid profile than soya. It is a faster digesting protein and quicker absorbed. Soya digests slower than whey but is 100% digested and absorbed. There has always been a lot of conversation and reference to phytoestrogens in soy however over the years this has never actually been shown to be an issue based on any solid scientific evidence. One of the things to be concerned about around hormones is actually often missed in the whey protein industry which also needs to be highlighted. Whey is a derivative of milk, which comes from cows which means high hormone levels. Its a fact that cows produce milk while pregnant which is over a large portion of the year, but moreover cows have been treated with hormones A large percentage of milk comes from cows injected with bovine growth hormone (rBGH), along with a vast array of antibiotics and other drugs. There is an expression which states a cows milk is for calf’s not for humans. Just take a look at the size of a cow. Cows milk is there to help their calf’s grow and strengthen. It was uniquely designed for a calf but not uniquely designed for a human. Personally I avoid dairy. I suffered the affects of dairy without realizing it for so long and once I eliminated it from my diet I began to see major benefits. Another shadow hanging over the plant based proteins like soy was the introduction of GMO (Genetically Modified) version. Again this was another huge minus in the case of soy’s fight to stay credible as a vegetable protein in the market. Once the anti-GMO organizations began to expose the risks of GMO food (specifically soy and corn) consumption and the possible health risks, soy again became a protein to cast aside. I actually agree in that if a food is genetically modified then it should be completely avoided. This is not to say that all soy products are GMO, there are many on the market that are GMO free it just needs to be researched before purchase. Both whey and soya have their issues and neither is perfect from a protein source point of view. In short I have provided some insight on the benefits of the major animal and plant based proteins and at the same time I have basically said avoid them. What options does that leave us with from a protein perspective? Well to be honest your major source of protein should be derived from proper and healthy nutrient consumption. What you consume in the form of protein from the time you get up in the morning until you go to bed at night will play the most major role in ensuring you are getting enough protein in your diet. However as active people or someone looking for a quick protein fix, especially in the form of post workout recovery what other options are available since both whey and soya leave me with a lot of questions in my mind. Well this is where I am headed and you can join me if you like. It also has an intermediate fast digestive rate which is exactly what is preferred especially for an endurance athlete. What protein am I talking about? Pea protein isolate is what I am on about. As a plant based protein it is genuinely a very powerful, clean and healthy protein for anyone whether pro-athlete or just a gym bunny. Aside from its strong amino acid profile, it is not unnaturally processed, it has a smooth texture and actually tastes great. It is superior not just in using it for a natural recovery shake but also in a pre training or racing meal. I feel this is the most complete protein and there can be no questions asked around allergens, hormones or food safety. Once I was happy with the certificate of analysis from the supplier and my own testing phase. I gave it out to a large number of athletes to do some testing for me as well. The feedback was unanimous the pea protein isolate needed to come to market to provide a healthier option of protein to the health conscious consumer. It was very well received across a variety of amateur and elite athletes in various sporting disciplines. Pea protein is gaining a lot of momentum globally and it fast becoming a protein of choice. 32Gi has decided to re-formulate its 32Gi Recover. Over the next few weeks we will be rolling out our new 32Gi Recover formula to all 32Gi retailers globally. The new Pea Protein formula will be replacing our previous vegetable based protein recovery shake. At 32Gi we are continuing to strive to provide the healthiest supplement choices to our consumers and we will continue to pioneer and innovate to ensure that all 32Gi users can be assured that we are a trusted brand in which health always comes first. Recover is an excellent protein supplement with no unnecessary ingredients only those critical to muscle and glycogen recovery. Recover can also be consumed as pre training or racing meal or even as a meal during a long endurance event. Recover is suitable for vegans and diabetics. Hi Lynne, there really is not such thing as a low kilojoule sports drink as then it wouldn’t be classified as a sports drink:-). Its not really about calories when it comes to choosing a drink but the types of calories. The purpose of a sports drink is to provide the body glucose which is used for fuel. Depending on what kind of exercise and the duration of it, that will determine your choice. I always advocate water for up to 90 minutes of exercise. If you are going longer but worried about mitigating fat burn due to a spiking drink then go with a low GI drink and in that case yes we have a product called 32Gi Endure which actually allows fat burn due to the low and stable release of blood glucose, I would say that would be in line with what you are looking for. What a great article on protein! Thanks Mark. Finally some truth backed up with a well researched and knowledgeable base. Being a veggie I often wonder about my protein intake especially when training. This has given me clarity. Looking forward to the new 32Gi Recover hitting the stands! I love receiving your delicious recipes on FB, and am very interested in your articles specifically on protein and supplements. I lived a very sedentary lifestyle up until 6 months ago when I hired a personal trainer and have been doing HIIT for around 60 – 80 mins a day. I am not an athlete by any means I am however very serious about weight loss and changing my body and I think I am working hard at doing that. What would you recommend for me to take after a workout ( if anything ) for protein and before a workout for energy. I love in the USA – not sure if your products are available here.